If is something I can say about it, is that I absolutely love it! 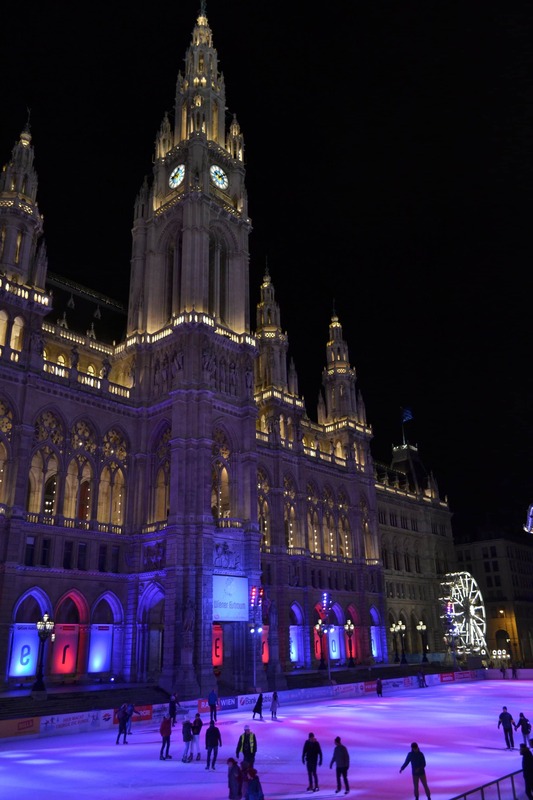 While Praga it’s a city that I always enjoy returning to, Vienna is the city I’d like to live in. Offer me a job and I would move without blinking. The perfect combination between past and present – Modern meets Baroque and Romanesque architecture. From high class dining to elegant Kaffeehäuser ( coffee houses), from concerts at the Opera House to street performers. From green parks and gardens to palaces from Habsbourg’s period. The beer is good, food is amazing and cakes to die for. The journey starts after just 2 hours of sleep on a Thursday morning as the alarm rings for 3:00 am. After a bumpy ride I manage to finally get to Victoria in time and get the coach to Gatwick airport. If only I would have had an early flight from Stansted as it’s just a 30 minutes train ride away from my house. Nevertheless 5 hours later I took an uncomfortable sleeping position in my seat waiting for the plane to take off. At last on Austrian ground. As you go through passport control and luggage pick up, you arrive in main terminal hallway. The tourist information desk is on the right side clearly marked. If you walk by another minute there’s a shop that sells data SIMs, 15euro for 4GB. Decided to search for a cheaper one and went back to the office to purchase my travel card. Follow the signs to the underground tunnel that will take you to the train station. Here you have two options, either take the CAT for about 20euro return ( 15 minutes journey) or the public train S7 to Wien Mitte/Landstraße. This will cost 3.4euro if you have the travel card or 7.8euro at full price. Remember to buy a ticket from the red vending machines and validate it! You could get caught and I’ve seen other tourist having to pay the fine. It will take you anywhere you need to go either by metro, tram or bus. If you need to go outside the metropolitan area a train ticket must be purchased. It’s reliable, always on time and not crowded. While single journey fare is 2.2 euros, travel cards are more affordable and well worth as you can use them on any public transport: 1 day – 7.6 euros / 3 days – 16.5 euros. They are valid 24/72hours from the moment of validation. Only have to do that once! The weekly pass is only recommended if you start your trip on Monday as it expires at the end of the week. Most of the time I would just walk between objectives and just wander on the streets, it is useful to travel on greater distances, especially if you want to eat away from tourist trap restaurants. Watch your wallet and your valuables. I f there is something Vienna doesn’t need anymore is hotels. There is one at every corner for all budgets. I chose to stay fairly close to the centre and next to a metro station. 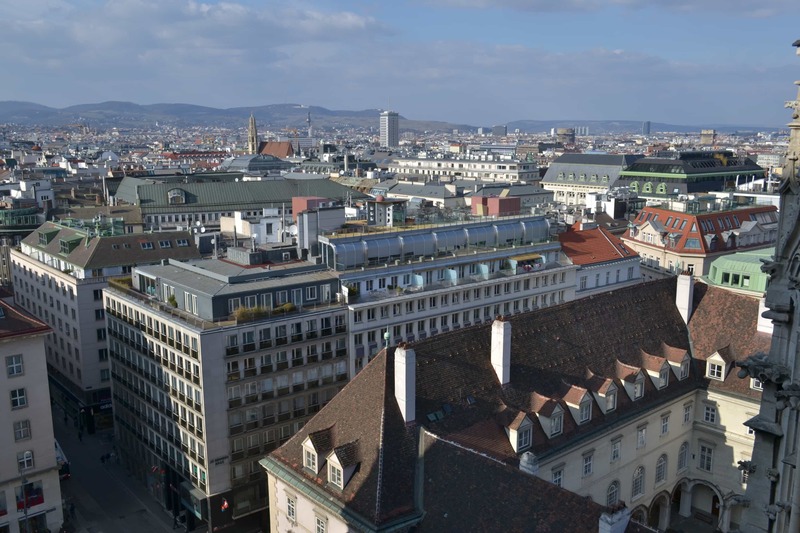 CH Vienna City Rooms is a 3 star Guesthouse 7 minutes away from Westbahnhof, with easy access to all lines. While rooms were tiny, it was clean, nice and the service was great. TV, mini fridge and safe box in the room as well as clean towels and toiletries every day is something I would call minimum comfort. Be ready to pay anywhere from 35 to 1000+ euros/night for a double room depending on your requirements. 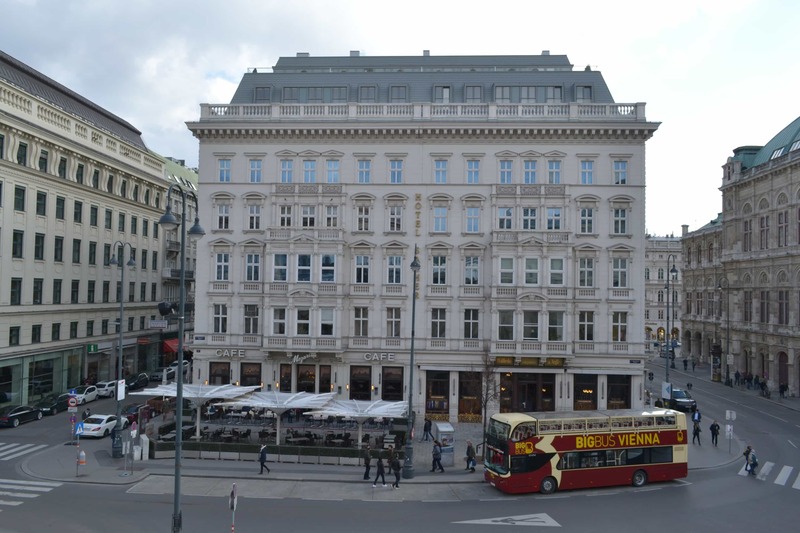 The cheapest ones will obviously be further away from the centre with a shared bathroom while the most expensive will be in one of the oldest and famous 5 star hotels in Vienna such as Hotel Sacher. I f you decided to go on a shopping spree, prepare your credit card and head for Mariahilfer Straße or Graben . You can find anything from Zara and H&M to Louis Vuitton, and Vera Wang. If clothes are not your thing not to worry as there is also a big selection of luxury watches and jewellery. Outdoor shops didn’t seem to have a place in fashion world so instead I head out to search a cigar shop. I found Mohilla on Kohlmarkt street close to St Peter’s church. They have a big selection, quality is good and prices are so much cheaper than UK: 5.6euro for a RyJ No.2 comparing to almost £13, Hoyo Epicure No.2 12euros comparing to £17. Even a pack of cigarettes is about 3.6euro. No wonder smoking is still permitted in locals. Souvenirs are very expensive and as always, made in China. 5 euros for a fridge magnet is just ridiculous when you can get a hand rolled Cuban cigar for the same price. If a good wine is what you are looking for, then one of the many wine taverns should be your choice. 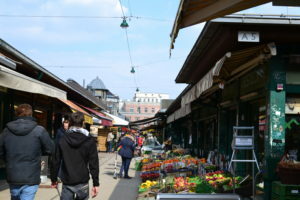 Flohmarkt is not to be missed if you are an antique avid like me. Literally hundreds of stall with locals. Be aware of the ones that try to sell Chinese crap fakes. Don’t be a tourist and throw your money at anything that catches our eyes. If you know what to buy, there are diamonds in the mud to be found. Managed to get a perfectly working and good condition 50’s Junghans watch at half of the asked price. I didn’t have a knife to open the back so I took a gamble which turned out to well. From silver jewellery, pens, paintings to musical instruments and everything you can think of. If only Portobello market would have a quarter of those stalls. 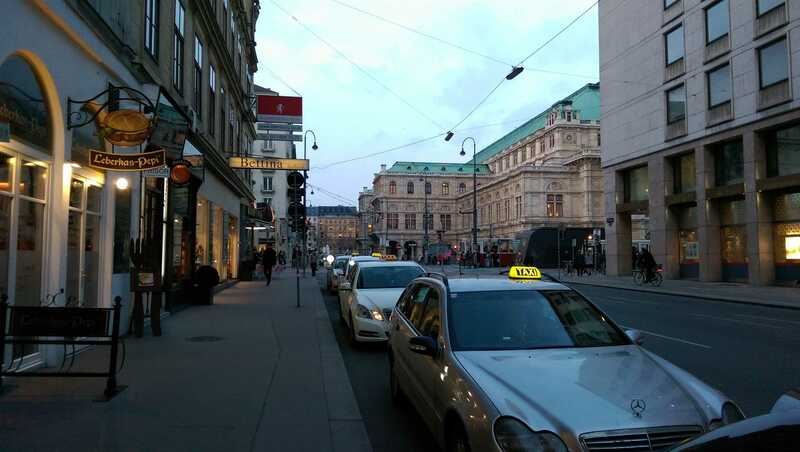 Vienna might not be one of the most expensive in Europe but for sure is not cheap either. 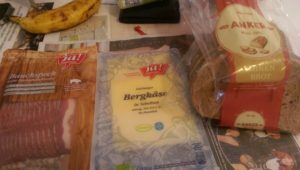 So if you are on a tighter budget ( 100euro/day) your breakfast options can vary from self made sandwiches after shopping in Billa, pastry and a coffee from Ströck bakery, or a 10-15euro meal at a coffee house. Whatever you decide, if you’re there on a Saturday, head out to local market in Naschmarkt and try the food made by locals. I decided to go lighter on my wallet and skip the restaurants. Even from the supermarket, organic bio food doesn’t come cheap ( look for ja natürlich brand). 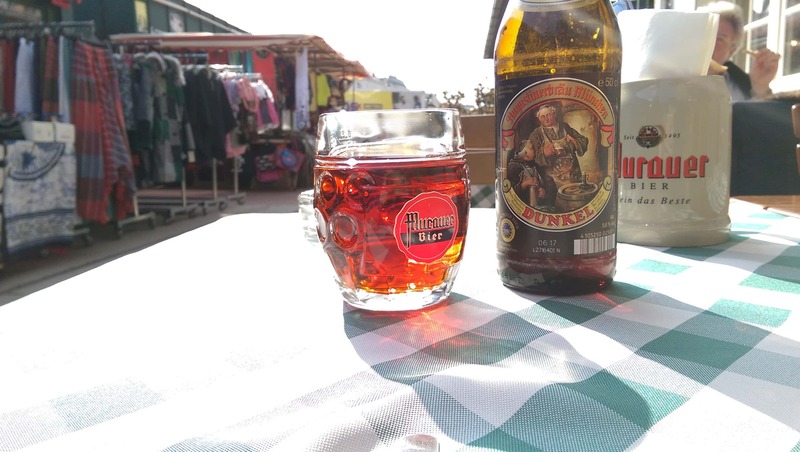 vöslauer ohne – 0.65euro ( 750ml water) + 0.30euro charge for plastic bottle which only Billa seems to do. Pastries from Naschmarkt are more expensive than at bakeries but better. Most seem to be around 2.5euro. Not a fan of apple, but the strudel was good. If you went there and haven’t tried the Mohnstrudel ( poppy seeds pie) you missed one of the best. It was so good I would never stop eating it. Local cheese, other sweets sausages and many other foods to be had. Coffee can be had from almost anywhere and price varies from 2 to 5 euro. 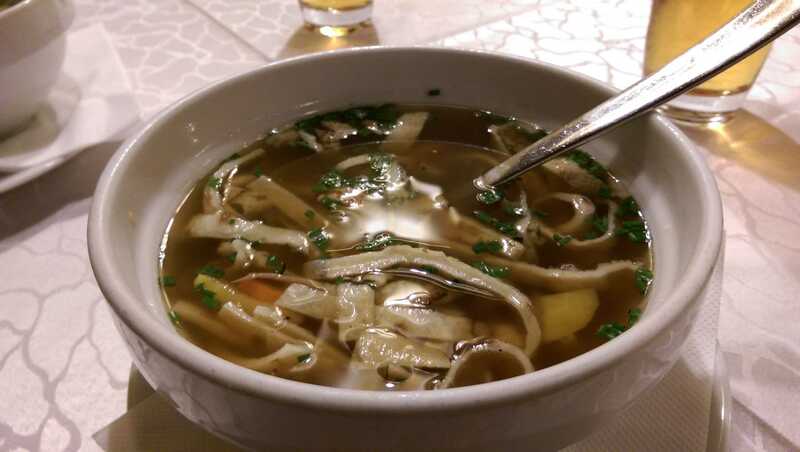 Lunch is a must in a restaurant if you want to try the local cuisine. 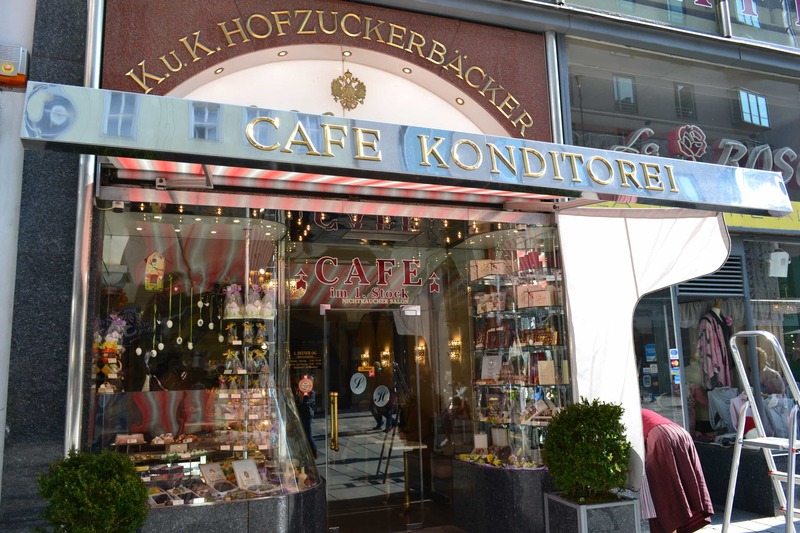 My recommendation, avoid fancy and expensive if you want true Viennese experience. And the most important, stay away from that tourist traps. If there’s someone at the entrance trying to get you in, leave! 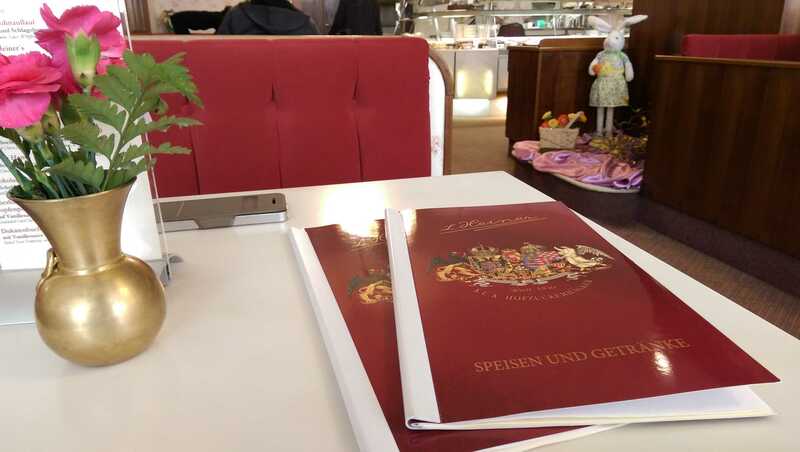 The best ones are where locals eat and where the menu is in German. They will often have a copy in English for the occasional tourist and staff speaks enough to take your order. Once of the fewest exceptions will be the older and famous coffee houses. I usually try to find a dozen on tripadvisor where reviews are good and recommended as local. So far it worked every time I went around Europe. 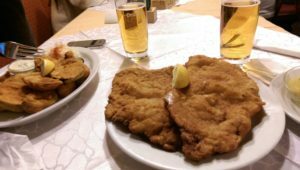 Schnitzelwirt – Neubaugasse 52/Mon – Sat 11:00 – 21:30 : Local restaurant, nothing fancy. Big tables where people would join together to feast on local food. Quite cheap and good value for money. The food is good but not amazing, portions are huge. We had to take away half of it. Is definitely worth a stop though. 1516 Brewing Company – Krugerstrasse 18/ 11:00 – 02:00 every day : A very nice local. Good for having lunch, dinner or in the evening for a drink. They have a local brewery and it is good. The food is good, service as wise. Price is medium. Portions are big and tasty. Downstairs is the bar where you can also smoke while upstairs is the non smoking restaurant. Went here 3 times for lunch and drinks. 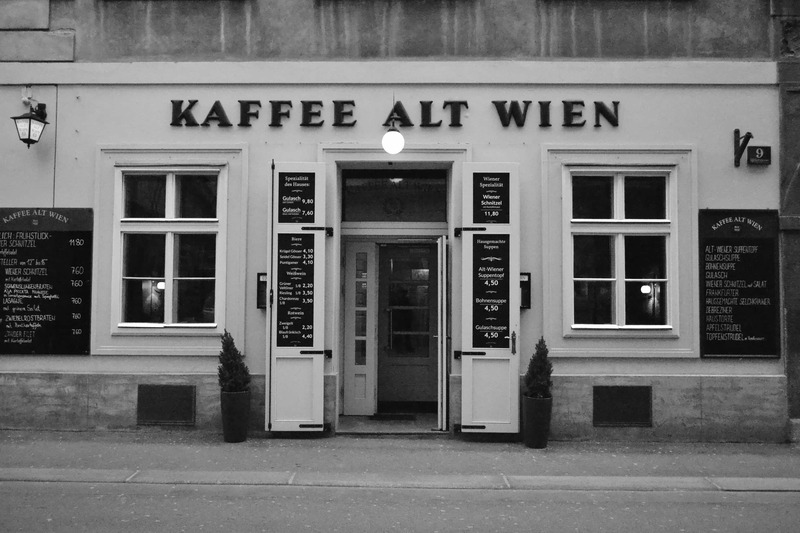 Kafe Alt Wien – Baeckerstrasse 9/Sun – Thu 10:00 – 02:00/Fri – Sat 10:00 – 04:00 : A decent traditional coffee house. More locals than tourist. Not too fancy but pleasant atmosphere. Waiters are polite, the service is good and prices are reasonable. Every day there is a different dish on offer. In front there is the bar where you can smoke while separated by a glass door, the restaurant hides behind the clouds of smoke. Portions are decent and very tasty. 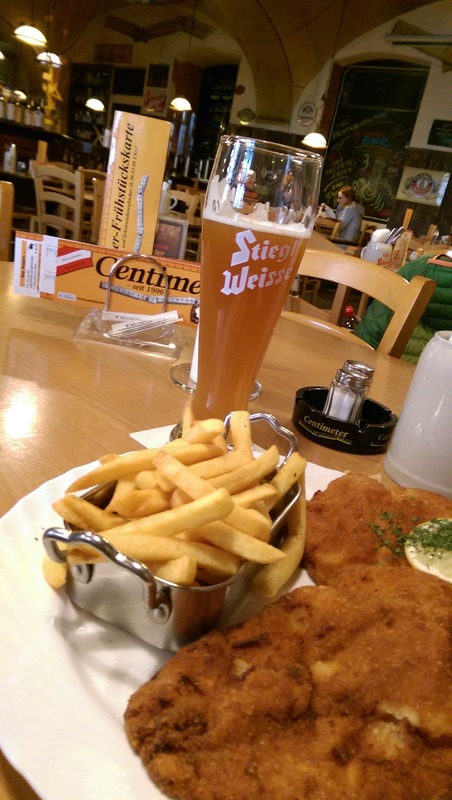 If there are no tables available, Figlmuller is a few minutes down the street and famous for their schnitzel. A bit more pricey though. 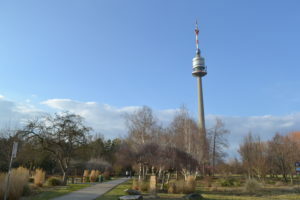 Some other restaurants we’ve been to are Am Donauturm, at the Danube Tower. We had soup and cake. Not very expensive considering the location but portions are tiny. The soup bowl was more like a coffee cup. Cake was decent but not amazing ( Frittatten suppe – 4.2euro/Sachetorte;Esterhazytorte – 3.7euro/ House wine – 2.1euro). Centimere I had some good reviews but I wasn’t very impressed. 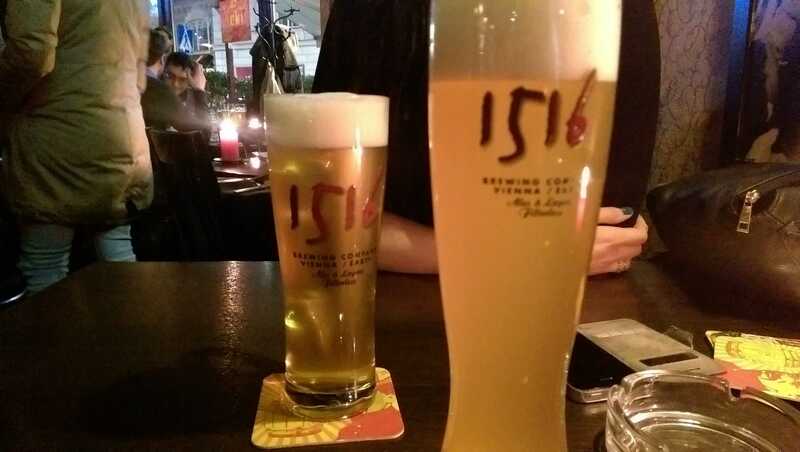 Their local beer is good and worth a visit to try it. The food was more like fast food and same price as the Alt Wien Schnitzel wasn’t tender at all. 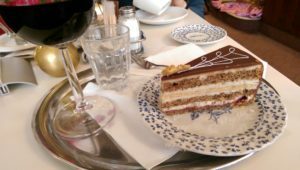 Cakes are something that Vienna is famous for and is a must try if you go there. I wanted to try as many as possible but in the end even if on holiday had to draw the line. Nevertheless tried at least 10 different types. While lower price might attract some of the tourist, paying a bit extra is definitely worth if you are looking to get the best and not just ordinary. That being said, avoid the popular tourist trap AIDA (Mozart torte – 3.2euro). I was a bit disappointing as it tasted more like Tesco cakes. Lesson learned and we head our attention to the classic “Konditorei”. Konditorie Heiner – Kaerntner Strasse 21-23 / Sun 10:00 – 19:30/ Mon – Sat 08:30 – 19:30 – Right in the city centre, next to Stephansplatz, and no is not a tourist trap. 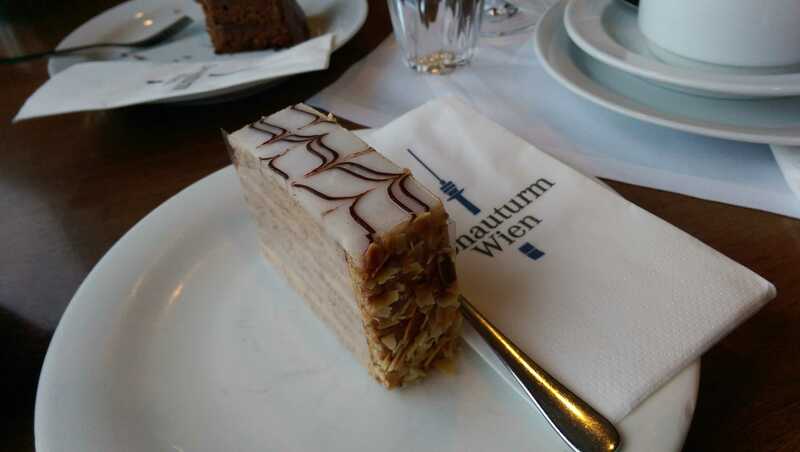 Is one of the oldest in Vienna and their cakes are divine. Please disregards the 3.5 note on tripadvisor. Indeed most of the clientele is on the 50+ age but I don’t go there to party. 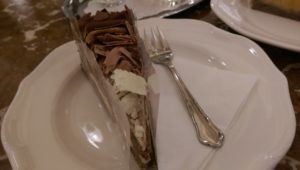 It’s an elegant cake shop opened in 1840 and if you can’t appreciate quality, you should probably go eat at AIDA. Prices are slightly higher but for a reason. The service is exceptional and as already said, cakes are to die for. They also serve food if you want to dine. 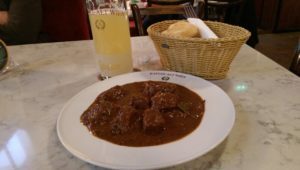 Cafe Central – Herrengasse 14/Sun 10:00 – 22:00/Mon – Sat 07:30 – 22:00: Probably the one that doesn’t need any presentation. The famous Cafe Central from 1876 – elegant and a true gem in Vienna. Piano music and excellent service will transform your visit into a unique experience. It’s more on the pricey side, and while tourists do venture inside, is not quite suitable to show up in shorts and tshirt. We only had cakes and wine but the food looked good. Prices are slightly higher than other locals and you should expect to pay around 50 euro for a dinner. Cakes are also more expensive than at Heiner. Maybe a touch better but the experience is different. I will surely return on my next visit to Vienna. Fast Foods are everywhere. I strongly recommend to stay away from rubbish Mc and KFC. Instead choose from the local ones. 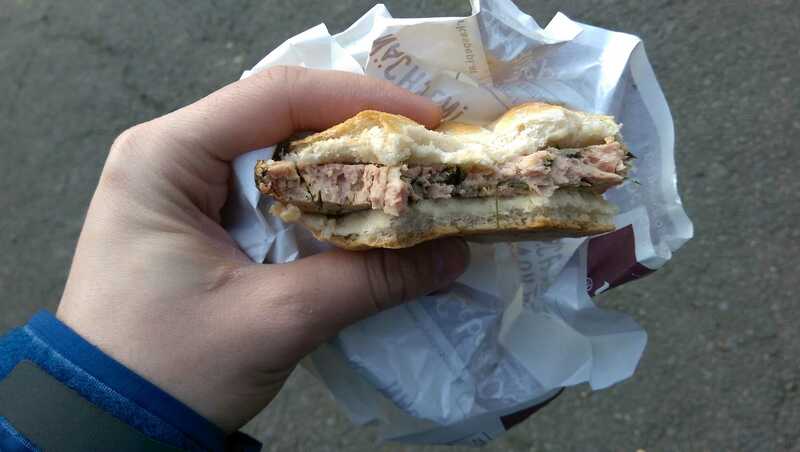 Leberkas-Pepi – Am Hauptbahnhof 3-6/ 08:00 – 04:00 : Minutes away from the Opera, this famous local is specialised in making Leberkäse, some sort of meat speciality . And is famous for a reason – is damn good. At 1.6euro/100g I could eat this between meals every day. And probably be fat in a month as it holds no less than 300 cal. You can either have it with bread, mustard and pickles or take it away as a sandwich. 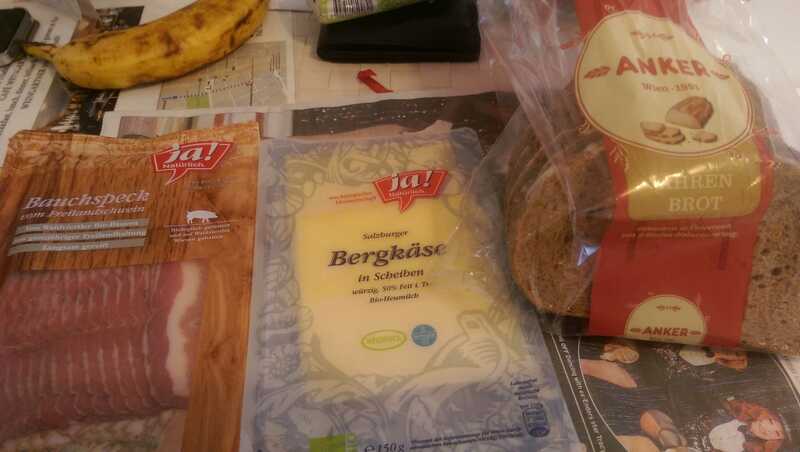 5.2euro for 250g worth of meat in sandwiches and 850cal. Tried the classic and with spinach, with a preference for the last one. 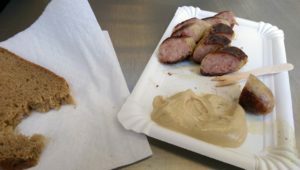 Bitzinger Wurstelstand Albertina – Augustinerstrasse 1/Sun – Sat 08:00 – 04:00 : Probably one of the most common food is the street sausage. Bitzinger seems to have build a fame for the best in Vienna and indeed it is. I’ve tried others but this is indeed better. There are so many choices you have to be there a month to try them all. Smoked, spicy, classic, with curry or cheese and so on. Best consumed after a few beers in the middle o the night when the hunger strikes. Prices varies from 3.5 to 5 euro. No matter what you budget is, Vienna has prices for everybody. Quality though is different but still accessible. If location and fine dining is what you seek, then prepare your wallet as it doesn’t come cheap. 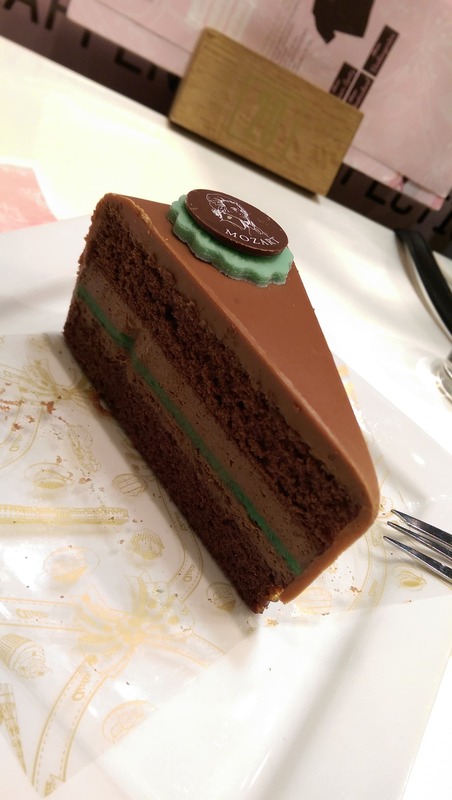 My only regret is that I haven’t manage to get to Sacher Restaurant. They hold the original recipe for Sacher torte but at 8euro a piece it will have to wait for my next visit. I might not afford to spend the night at 600 euro price tag but for sure I’ll be trying that cake as I wasn’t impressed by the non original one. 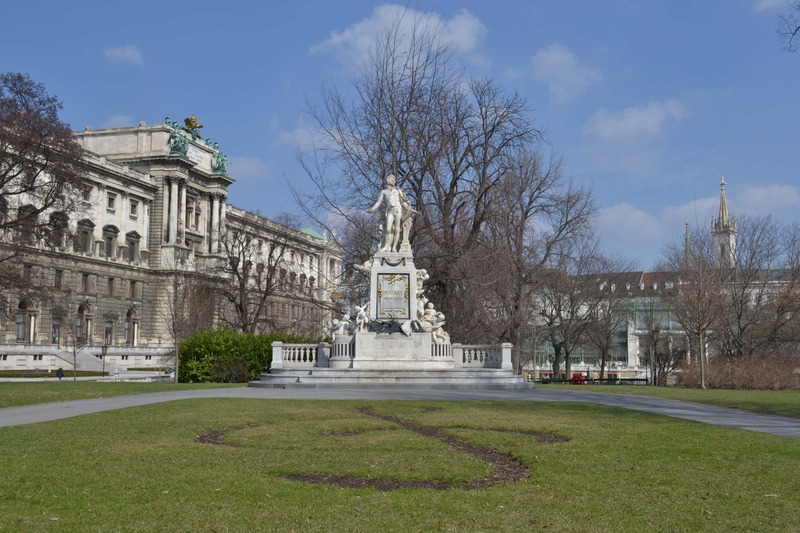 Vienna has a lot of touristic attractions. 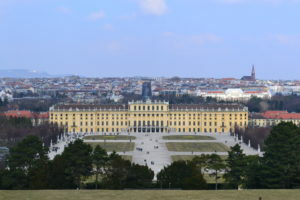 From the Museum Quarter to Schönbrunn Palace, everything costs. So how do you choose what is worth spending you money on? One thing that is free and in abundance are churches ( kirche). I’m not a religious person but I do enjoy the architecture and never miss the chance of visiting an old church. Especially the Gothic and Baroque ones. They’re literally way too many to list them all as I must have entered in over 20 of them. 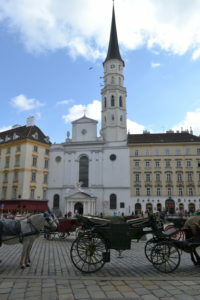 Karlskirsche (St Charles Church), St Peter’s Church and Votive are just a few of them worth mentioning. And of course the main attraction, Saint Stephen’s Church. The 5.5 euro for the lift to the top didn’t worth the money or time. Is not much you can see of the city as the view is blocked by the church’s towers and protection fens. 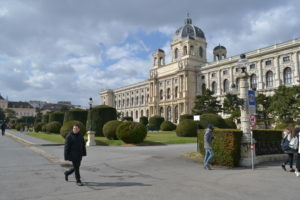 Residence of the Habsbourg dynasty, Vienna opened their palaces for tourists. 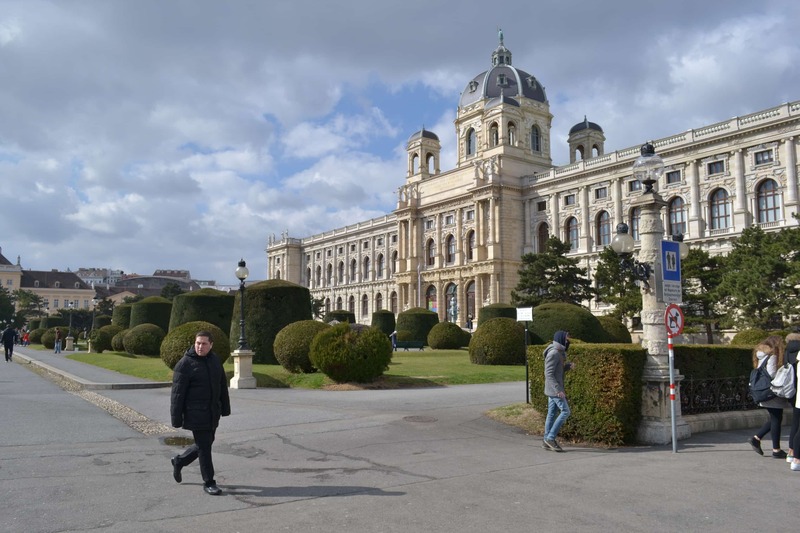 Hofburg Palace, now the residence of the Austrian President, is worth paying a visit if history is your point of interest. Schönbrunn Palace on the other side is a must. This summer residence of the Habsbourgs is surrounded by gardens and shouldn’t be missed. A Grand Tour ticked for all the 40 rooms is 16.4euros and well worth as it can not be described in words. Exquisite architecture, fine craftsmanship and gold covered walls. get lost in vast gardens or visit the zoo afterwards. 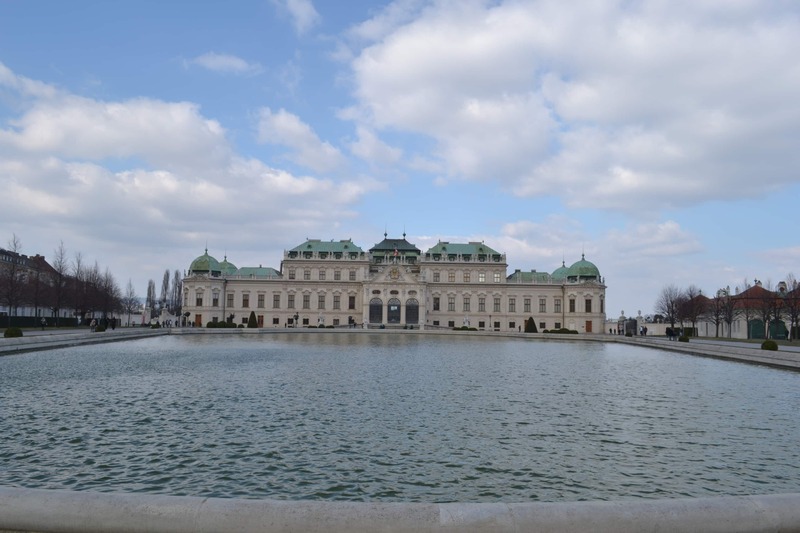 Belvedere is worth a visit and you can spend a good hour walking in the gardens. Unless you are an art avid is not worth entering inside. Imperial Treasury had mixed reviews and as it was closed the day I tried to get in, didn’t bother returning. Everything else is only worth passing by and you shouldn’t worry too much. Just wander with no purpose and you shall find them. Museums are countless and I must confess not raise any interest for me. Perhaps the Natural History but maybe next time. If you have time head to Museum Quarter. The architecture is impressive and you can fill up a few pages in the photo album. 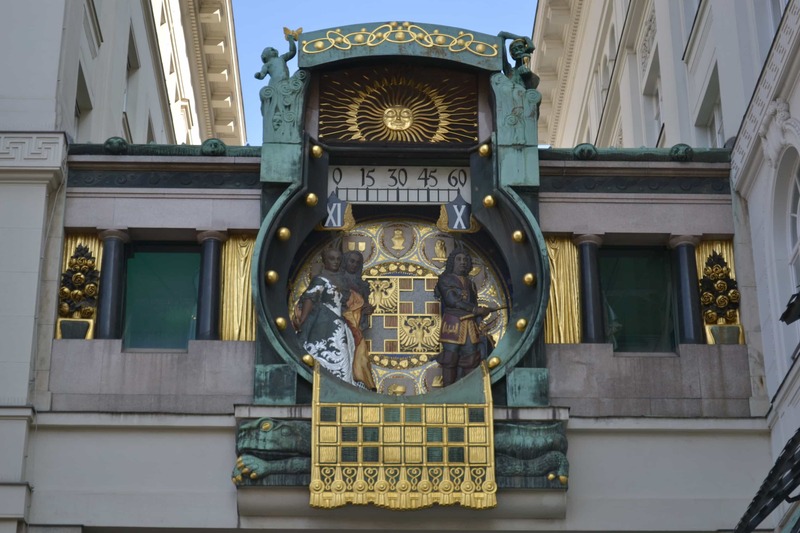 If you’re passionate by horology, Clock Museum stores about 200 watches dating from the early 1500 to present time. The entrance is 7 euro and you should allocate about 1-2hours. It opens daily from 10am apart from Monday when is closed. If you want to avoid school groups go later in the day. Donauturm or the Danube Tower was worth the time. 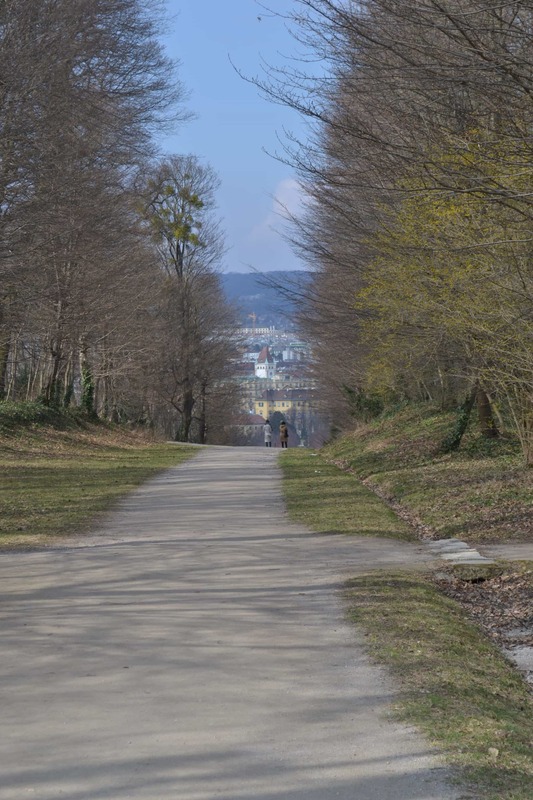 Take the U1 to Donauinsle and then a 15 minutes walk. 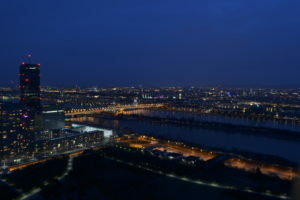 Here you can see a new face of Vienna. A modern industrial centre and residential area. For 7.9euro take the lift up the 252m tower for a panoramic view. Is fairly far away from the city centre so make sure you have a good telephoto lens. You should aim to get there 1 hour before the sunset and stay until the evening comes. Unfortunately it’s extremely windy on the terrace and my low light shots didn’t turn up as expected. Even though I wasn’t impressed by their cakes, you should still stay for a beer at least in the restaurant. It has a 360 degree rotation and you can enjoy the view out o the wind and cold. If you love nature, the parks are a must. Just don’t go too early in the spring as I did. Was hoping flowers and trees will bloom but this year winter staid longer. So parks were not green and water fountains drained. One more reason to go back I guess. 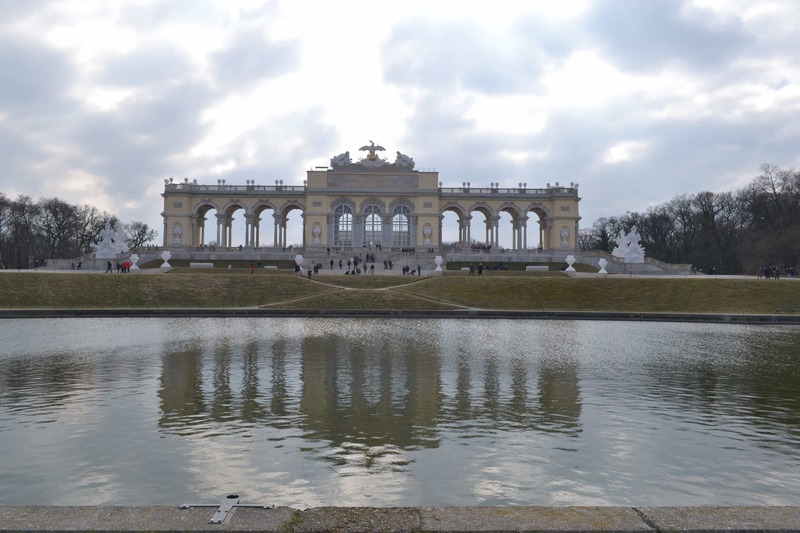 Schönbrunn Gardens should take a few good hours of your time. 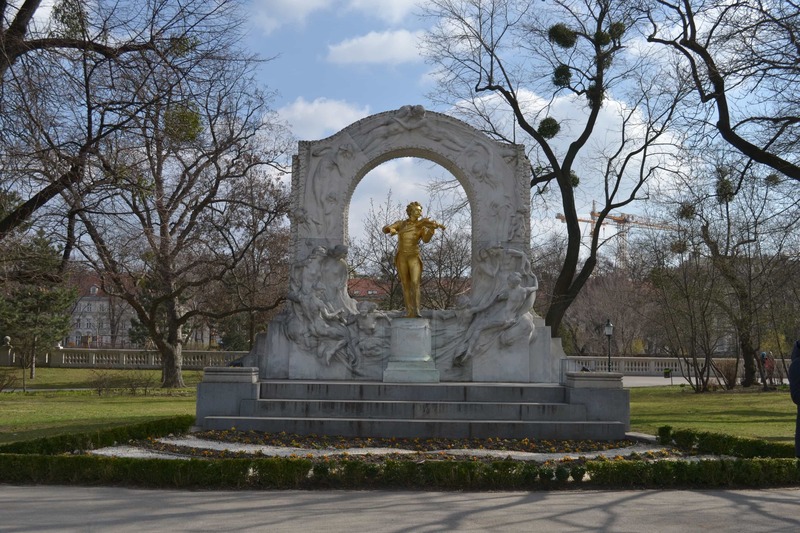 Stadpark has various statues and monuments, including the famous gold Strauss memorial. 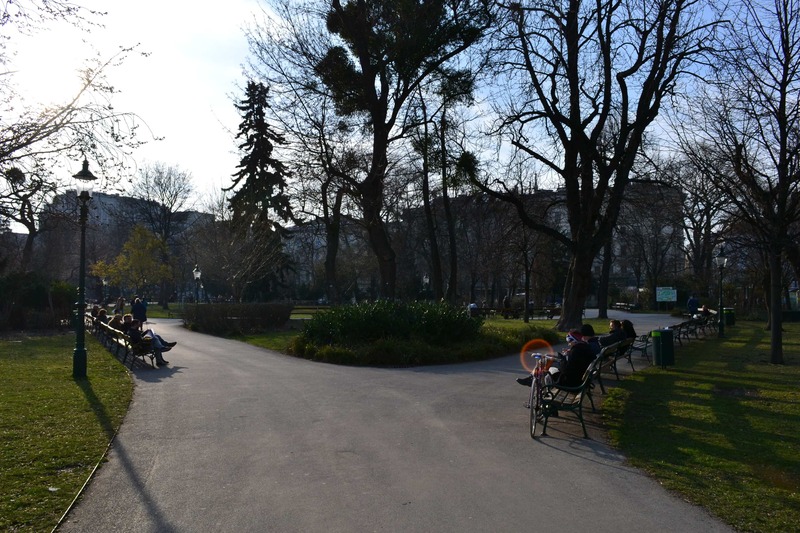 Burggarten is a small oasis where you can rest while visiting the city centre. If you have time to spare, visit the Palm and Butterfly houses. If you find yourself next to the National Library, stop by Volskgarten. Everywhere there will be a small green garden where you can enjoy a quick snack and recharge your batteries. 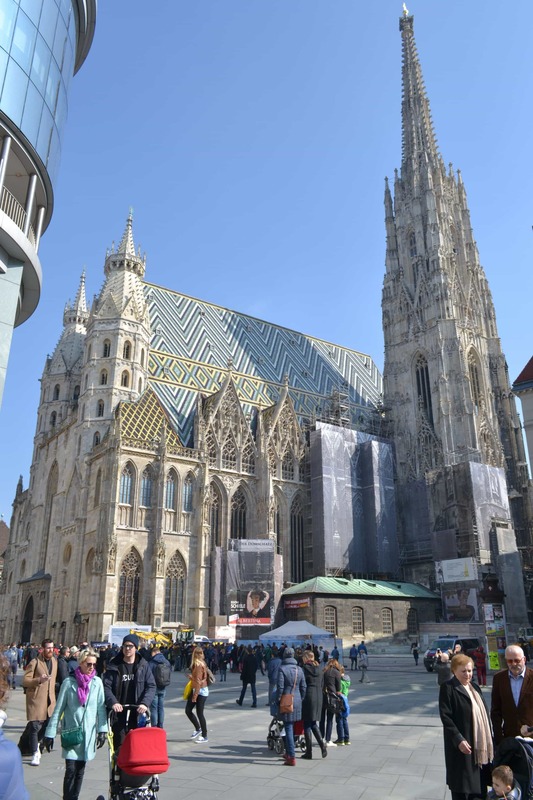 Another thing Vienna is known for is its squares. Two of the most famous would be Karlsplatz, where you can find the St Charles Church and Stephansplatz, where is the Cathedral. 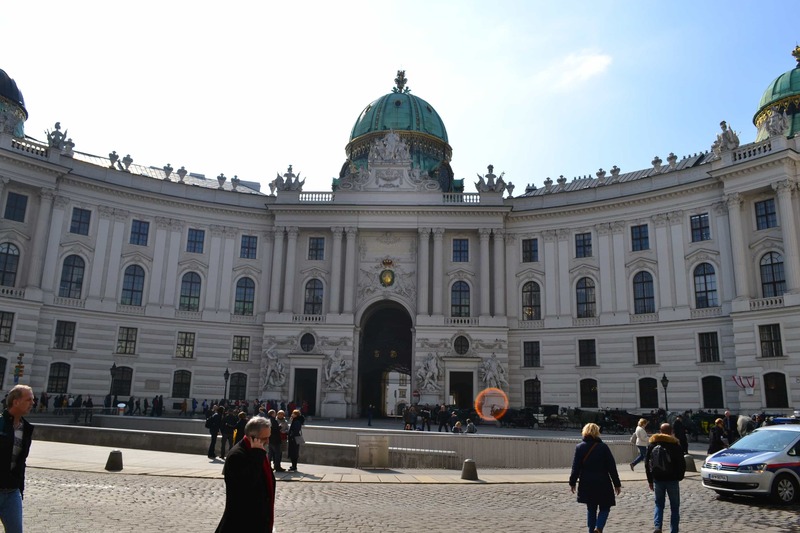 Some others that are worth visiting and you would probably pass by when head to other attractions are Michaelerplatz in front of the Hofburg Palace, Schwarzenbergplatz as you head to Belvedere. There is a Soviet war memorial so you can’t miss it. 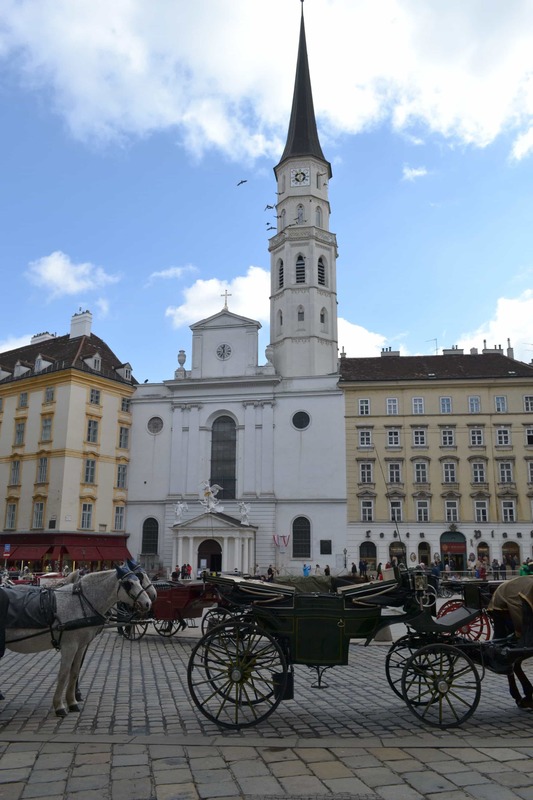 Judenplatz (Jewish square) is the centre of the Jewish community and right next to the Clock museum. 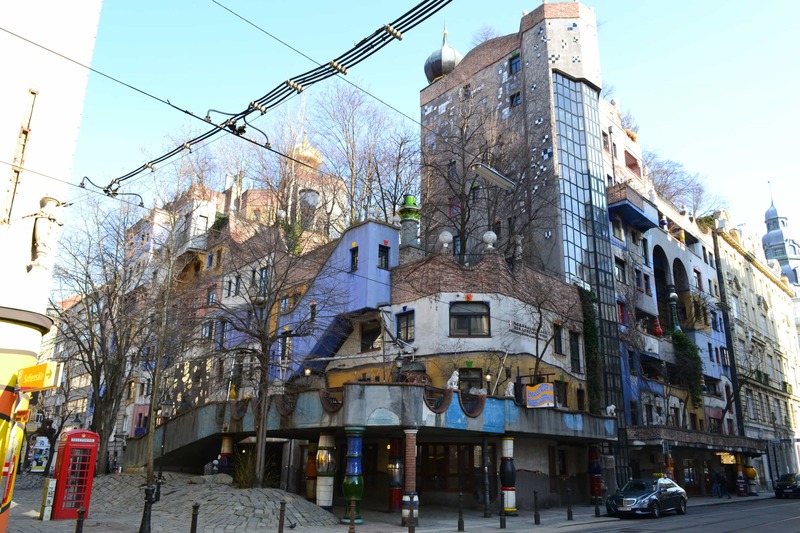 Hundertwasserhaus should also be on your list. This expressionist apartment building reminded me of Barcelona’s Batllo house. Definitely something you don’t see everyday. 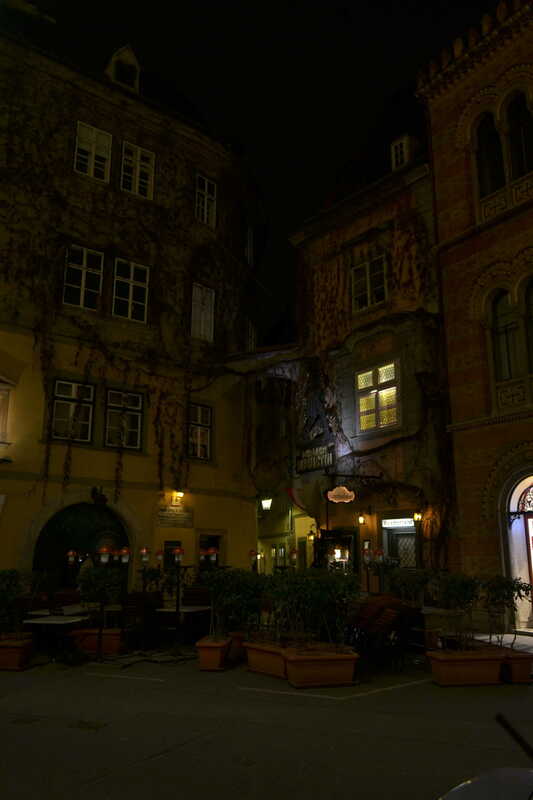 Let yourself guided by the landmarks and discover Landstraße district rather than following your GPS. There are of course many more attractions and things to do. If you have the time a concert at the Wiener Staatsoper (State Opera) is not to be missed. You don’t have to prebook a ticket as you will be asked to buy one every time you pass by a major touristic objective. Not a big fan of opera myself but I do enjoy classical music. Missed the chance to go to Vienna Philharmonic Orchestra. 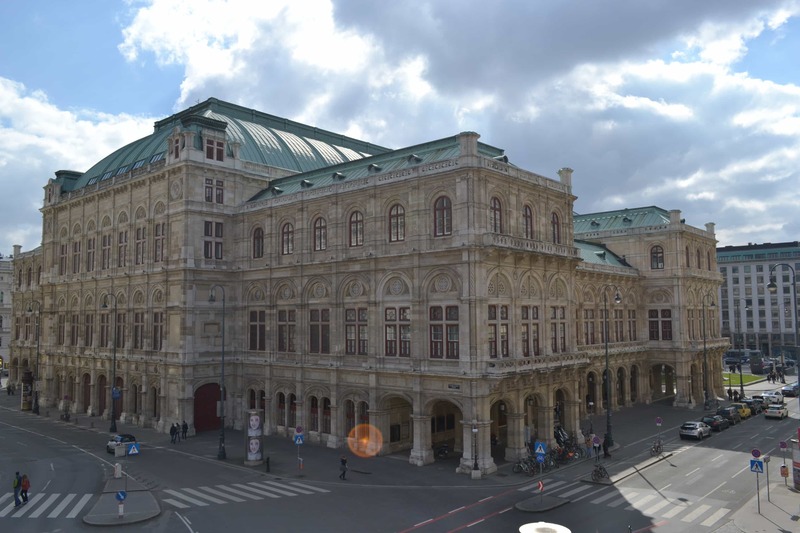 Based at the Musikverein, is probably one of the best and most known in the world so tickets are quite expensive. But will be on my list for next visit. 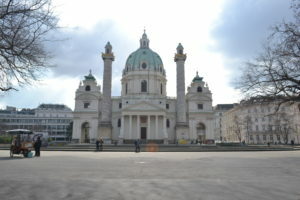 Vienna was never on the top of my list I can’t stop wondering why now that I’ve visited it. 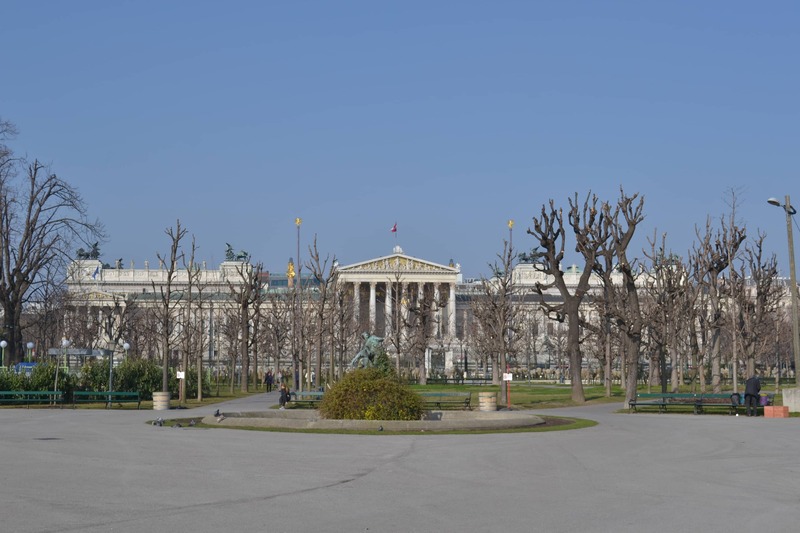 Is not only the architecture that attracts me but the Viennese lifestyle as well. I could get lost for hours in a book at one of the Kaffeehaus. 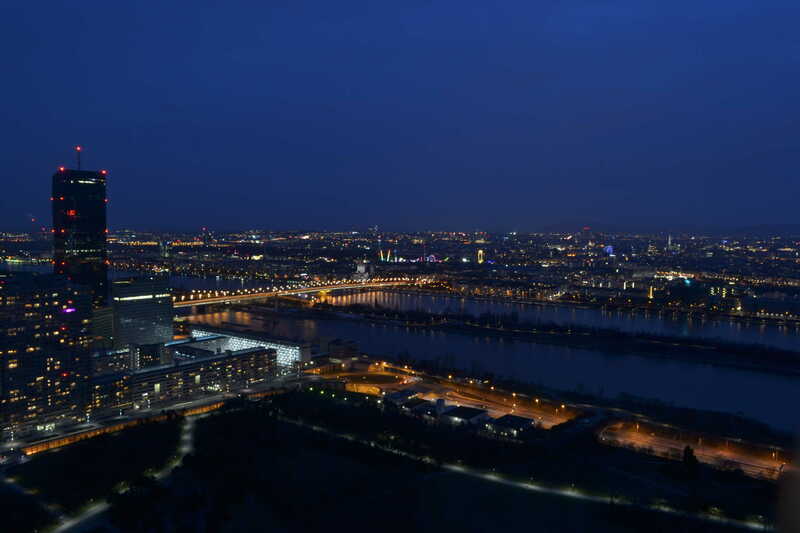 Or spend every evening on top of Danube tower taking shots of the city at sunset. Listening to waltz music on my morning walk trough the Schönbrunn Gardens.